Grenache would hardly be a foreign word to many wine lovers. This red grape and the lively, floral wine it produces is a staple of Côtes du Rhône blends as well as Châteauneuf-du-Pape. With the dramatic emergence of Spanish wines in recent years, Grenache also has gained familiarity in its Spanish robes as Garnacha – which might lead one to assume that the “two” grapes are one and the same. Indeed they are, and yet there’s a world of difference between them. The expression “in vino veritas” comes pointedly into play here. Wines made from Grenache in France – or anywhere else, for that matter – and wines made from Garnarcha in Spain may be cousins, but they are the furthest things from twins. That became clear during a Chicago seminar last week presented by Spanish producers of Garnacha from Cariñena, an appellation long overshadowed by the likes of Rioja and Ribera del Duero. Led by master sommelier Christopher Tanghe, this little survey – six wines were poured for analysis — proved to be as palate pleasing as it was eye opening. Cariñena, Spanish for the grape Carignan, is a small appellation southeast of Rioja in northern Spain. Though the Carinena grape is indeed planted, the region is dominated by Garnarcha – from very old vines that produce small bunches of grapes with high-intensity flavors. Between the average age of the vines (40 years or more) and the sunny clime, the Granacha wines of Cariñena are dark, deeply flavorful and complex. They also can be hard to find in the U.S. The purpose of this touring seminar was to promote both the wine-producing cooperatives of Cariñena and specifically Garnacha – “the next great grape,” as the tour slogan had it. Representatives of two Cariñena co-ops, Nieves Beamonte Rico from Grandes Vinos y Viñedos and Javier Sierra Dace from Bodegas San Valero, had joined the seminar campaign to push for wider distribution. Bodegas Paniza Viñas Viejas de Paniza Garnacha 2012 ($18). The dark ruby color is characteristic of these wines from old vines with root systems that plunge deep into the earth. Blended from grapes from several vineyards, this Garnacha offers intense flavors of blackberry and black cherry enhanced by ripe tannins and supported by good acid structure. 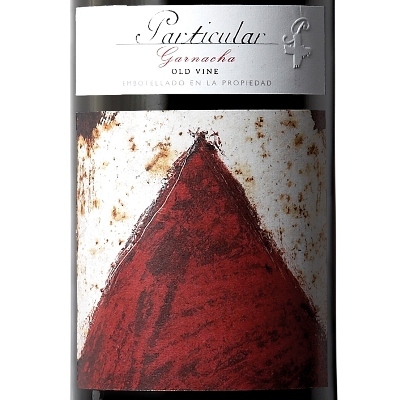 Bodegas San Valero Particular Old Vine Garnacha 2012 ($12). If someone handed you a bottle of “terrific” wine and told you it cost twelves bucks, your eyes might roll involuntarily. But that’s what we were sipping here with this lovely, plush old-vine Garnacha. It was the distinctive presence of chocolate that kept me coming back. Never would I have guessed the price. Grandes Vinos y Viñedos Corona de Aragón Special Selection 2013 ($15). Like many of the wines from Cariñena, this one is a blend, a fifty-fifty mix of Garnacha from 40-year-old vines and Cariñena. Dark fruit flavors gain a certain precision from the acid and tannin in the Corona de Aragon Special Selection. Hard to argue with the master sommelier when he described this as a food wine. Lamb, duck, game all would be good matches. A good wine is easy to remember but what makes it unforgettable is the people you drink it with.